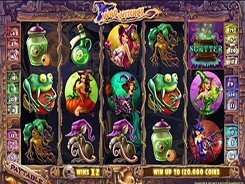 This is a 5-reel slot with 15 lines themed around mythical dragons. The game features a standard left-to-right layout, but you have an additional option to switch to a Win Both Ways gameplay to intensify your wins. 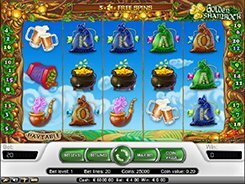 A bet ranges from $0.01 to $7.5 per spin, but choosing to play both ways will cost you double your normal bet. 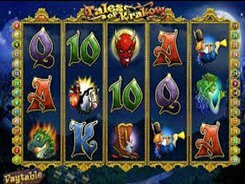 On the reels you will come across different dragons and playing card symbols from 10 to Ace. 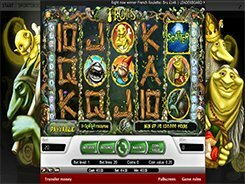 Getting five Fire Dragons across a payline produces the grand prize of x2500 times a line bet. 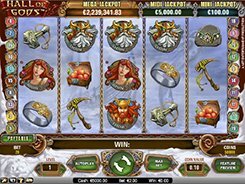 The slot features a wild and Golden wild symbols. A normal wild substitutes for regular symbols in a Win One Way mode only. A Golden wild acts as a substitute in addition to the normal wild when Win Both Ways is activated. Besides, a Golden wild multiplies wins x2 to x8 times when used in a combination. 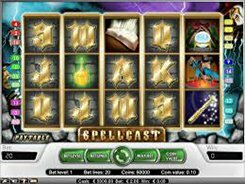 Three, four or five Volcanoes scattered in view unlock 10, 20 or 50 retriggerable free spins with expanded wilds that appear on a random reel at the start of every spin. 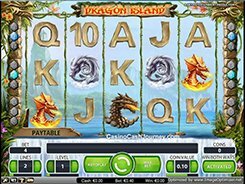 To sum up, Dragon Island offers lots of opportunities for big wins which makes the slot appealing for many slot fans.